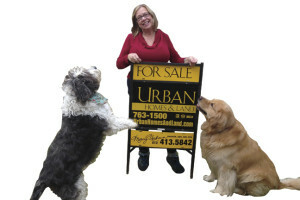 Urban Homes and Land is a full-service, customer-oriented real estate company. We have carefully chosen our location on the north side of Georgetown’s historic square, between Burger University and Diva Design Studio. Our vantage point gives us great views of the old Williamson County Courthouse and Monument Cafe’s beautiful vegetable garden. Downtown Georgetown is the true heart of our community–whether we are celebrating Red Poppy Festival each April, The Stroll in December, The Swirl in March, or First Fridays. It all happens downtown! Our downtown entrepreneurs all have strong reasons for choosing where they are. 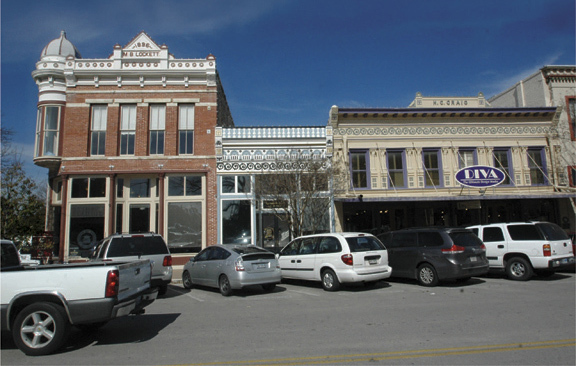 Time Magazine mentioned our square in the article listing Georgetown as one of the Top Ten Small Towns in America in December 1997. Since then, Georgetown has almost tripled in size. Williamson County and Travis County are experiencing rapid growth due to our quality of life and respect for natural beauty. Urban Homes and Land can show you this part of Texas. You pick which town fits your lifestyle the best. We’ve got quite a few to choose from–and the professional agents to guide you. Location is vitally important for any business, let alone a real estate company. 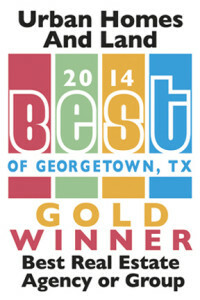 Centrally located in the fastest-growing county in Texas, Georgetown offers a vantage point that allows us easy access to industry, airports, exemplary universities, excellent medical facilities, quality shopping, parks and recreation, and cultural events. Urban Homes and Land is in the middle of it all! 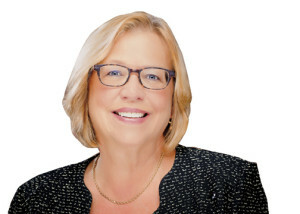 We fine-tune our marketing and property searches to fit the specific needs of our customers, making choices that fit our clients, not a franchise handbook. Our office prides itself for its innovative marketing practices, patient customer service, and follow-through attention, long after the sale. Entrepreneurial expertise has taught us what big-box real estate companies sometimes forget: We don’t owe anything to anyone but our clients. We charge no transaction fees. There are no hidden franchise costs. We get to the point. Urban Homes and Land realizes that it is much easier to engage in productive real estate activity in areas that are healthy, vibrant, and appealing. Our involvement with the Georgetown Chamber of Commerce, the Georgetown Main Street Board and the New Georgetown Art Center, and Downtown Georgetown Association validates our belief that wise business people help build healthy communities. This is our calling. At the regional level, we are aware of the needs and assets of our area. We are driven to settle buyers into areas that best suit their needs and economic situation. As sellers transition into successive homes here, it is our goal to help them make the move seamlessly. Urban Homes and Land is involved in the internal activities that are strengthening our communities. People know who we are and what we stand for. With a master’s degree in communication, I know the value of communicating clearly. This is vitally important, whether we are working with sellers or buyers. As an independent real estate office, we must build our own reputation, instead of buying a national logo and mandated philosophy. Our motto is “Striving to do well, in order to do good.” Don’t look for us on national television. Look for us in well-balanced marketing mediums such as regional real estate magazines, and well-chosen websites. Building my business by referral has spanned 15 years and brought us many satisfied clients. These clients usually become friends. Somehow, that speaks louder than a national ad campaign. It speaks to outstanding customer service, respect for our clients and well-balanced knowledge of our communities. We welcome your participation in our real estate growth. I take this business seriously. My name is on the front door. And it’s a real estate name, at that.